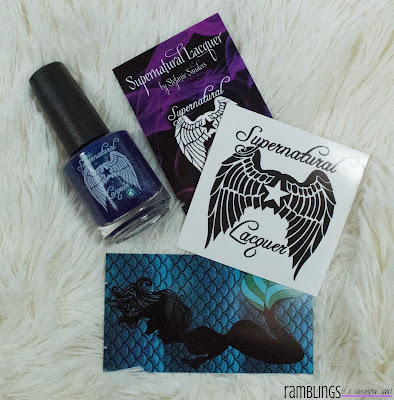 What is Supernatural Lacquer Bi-Monthly Box? : Supernatural Lacquer's Subscription Box is a bimonthly box which will include an exclusive nail polish, a nail related miniature, and a seasonal/holiday extra! Instead of being a subscription where you sign up and it auto-deducts, this is a preorder box. Join the Facebook Group to stay up to date! How Much is Supernatural Lacquer Subscription Box? : The box is $15 plus calculated shipping. This box is going to be available from February 3rd at 9pm EST to February 5th at 9pm EST. The first 50 boxes are ready to ship immediately but it is an unlimited preorder so you will still be able to get this box even if you aren't first in line. 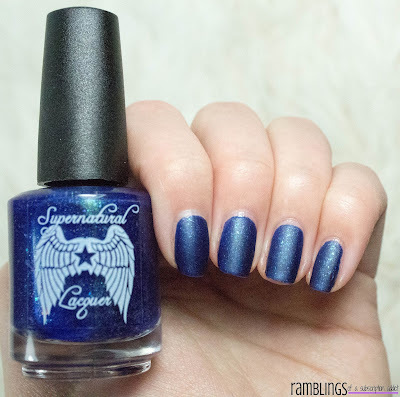 Check out my other Supernatural Lacquer reviews here! So pretty, and mermaids!! Today is actually my birthday and I was so thrilled to see that my birthday box was themed around mermaids, quite possibly my favorite thing! Whosits and Whatsits is a cobalt blurple jelly that has a slight green shimmer with pink and blue iridescent flakies and holographic pigment. 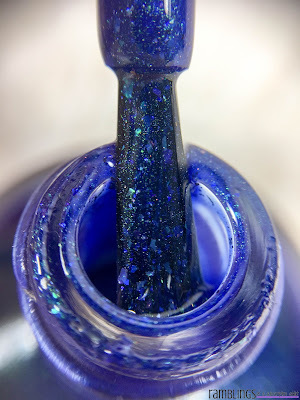 Oh my, I fell in love with this polish. I always love Supernatural Lacquer's formula, it's the perfect in-between of thin and thick and the opacity is out of this world. 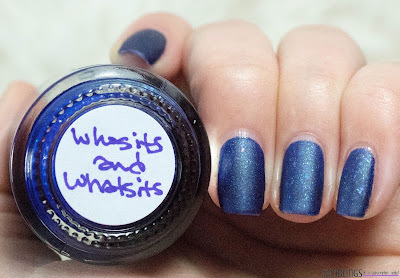 Look at the flakies, oh my. 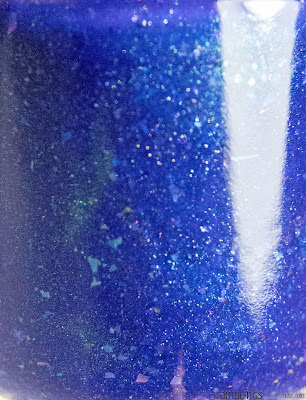 Shown is three thin coats of Whosits and Whatsits, more for my need of more flakies than necessity. 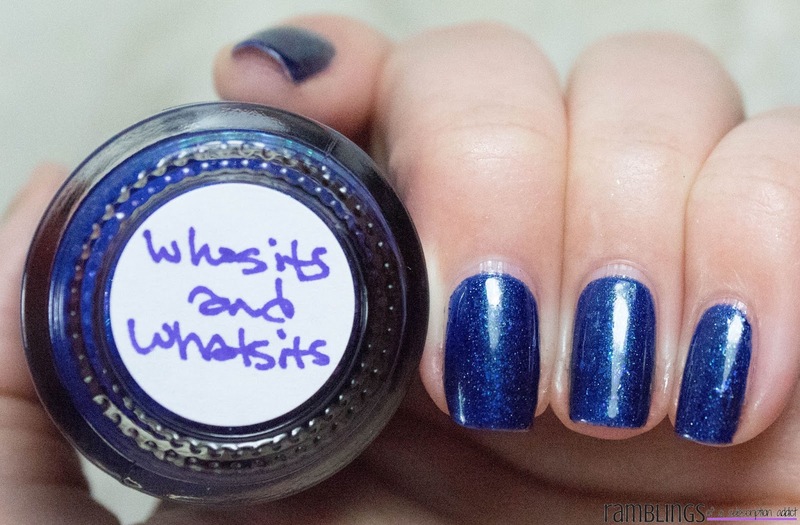 Two typical coats would be perfect if you didn't want the extra flakies. There wasn't any texture when it dried and it did dry to a shine finish so just polish and you're ready to go! Each box comes with Whosits and Whatsits, mermaid vinyls and a holo sticker from Lou It Yourself, and a mermaid magnet from Cut Throat Cutie.